The Okiishi OR/7 is a beautifully lifelike resin rock which is large enough to make into a hidden filter with a great filtering capacity. Use as an natural looking ornamental feature / filter on the floor of your tank or fix to the back wall with silicone suckers (not included) to create a stunning 3D background using one or multiple rocks from the Okiishi range. 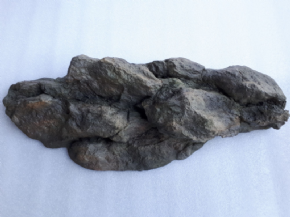 If you are using this rock to construct a hidden aquarium filter you will find filter media on the 'Biohome' page, foams on the 'Foams / Tubes' page and small pumps on the 'Water Pumps' page. You can fit over 2kg of biogravel in (small mesh bags), a small water pump and two foams (from 24" x 17") or one foam and a fine pad into the OR/5 to create a very effective hidden filter.